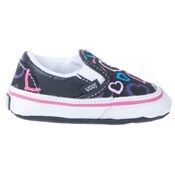 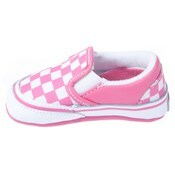 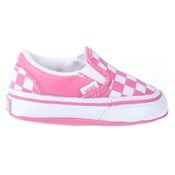 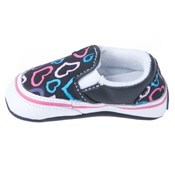 With a soft bottom, these Vans slip-ons make it simple for your baby to get up and get going! Whether crawling or walking, these Vans will hug their little feet and protect them from the crazy adventures they will go on! 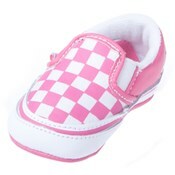 So easy to get on and off, there is not ime wasted when dressing your little one! 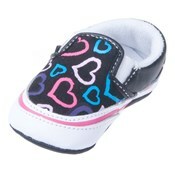 Show your love and get your infant the cutest pair of shoes!